It’s the one day a year that my kids can’t wait to get out of bed. They race down the stairs full of excitement to see if what was on their Christmas list is now under the Christmas tree. My husband and I are there, camera in hand, trying to get a few memorable, in-focus shots of the chaos. Then, suddenly, the flurry of paper and ribbon dies down and hearts start beating normally. Is that it? Is Christmas over? What was that all for? It’s so easy to get caught up in the presents, the wrapping, the shopping, and the decorating that we forget the real meaning of Christmas. Christmas is the day we commemorate and celebrate the birth of our Savior Jesus Christ. He is God’s gift to the world that through him we might all be saved to eternal life. What an incredible gift! We celebrate by giving each other gifts, decorating our homes, and enjoying a feeling of peace that only God’s love can bring. But, those very means of celebrating can overshadow the one we are celebrating. Pray before and/or after opening gifts. 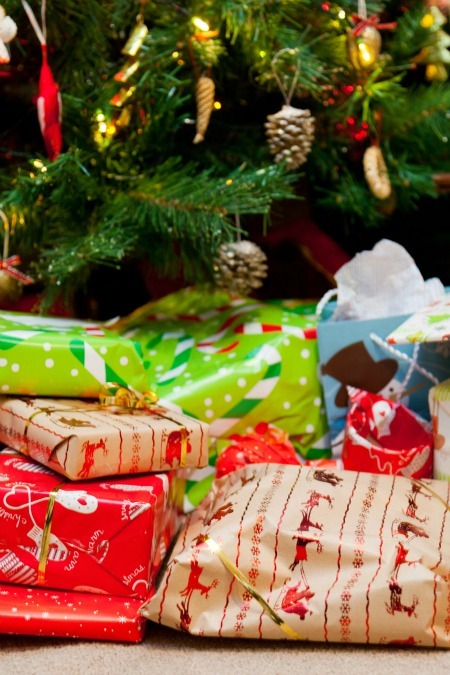 Read the Christmas story from the Bible before or right after opening gifts. Express thankfulness to God for each gift. 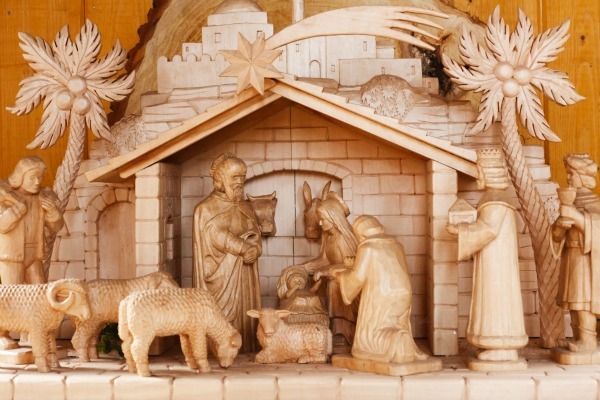 Some families set up nativities in their homes during the Christmas season, but don’t add the baby Jesus until Christmas morning as a sign that this is the day we celebrate His birth. 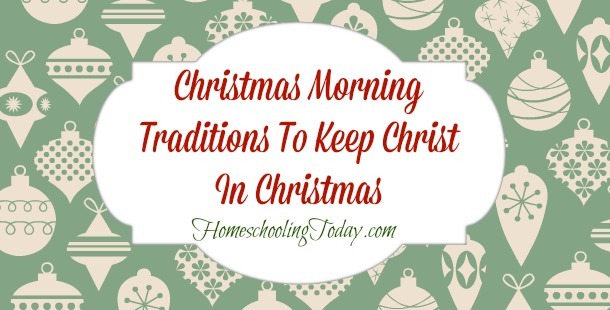 What are your favorite ways to keep Christ in your Christmas morning? Next Grumbles of Gratitude: Can we really force our kids to give thanks?